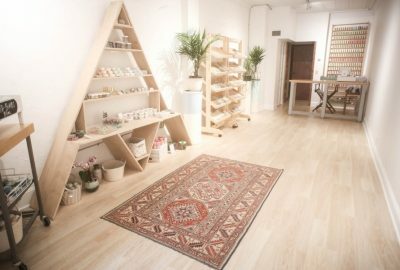 Home / New / On Cure Now! 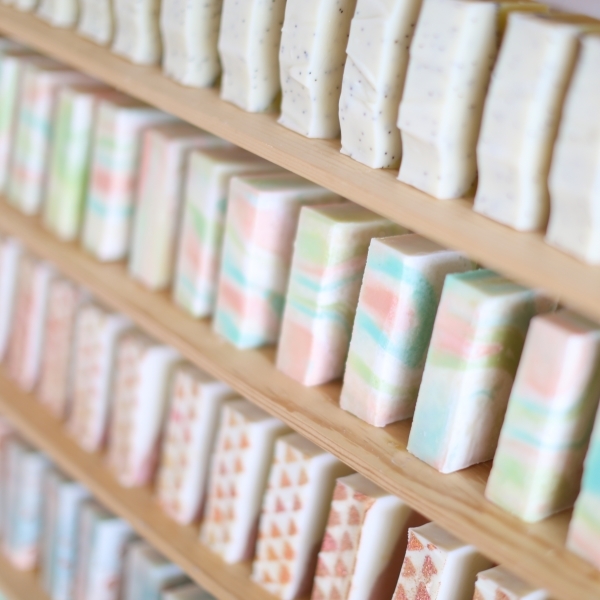 We have a lot of new bright and fresh soaps on the curing rack that will be ready just in time for summer! 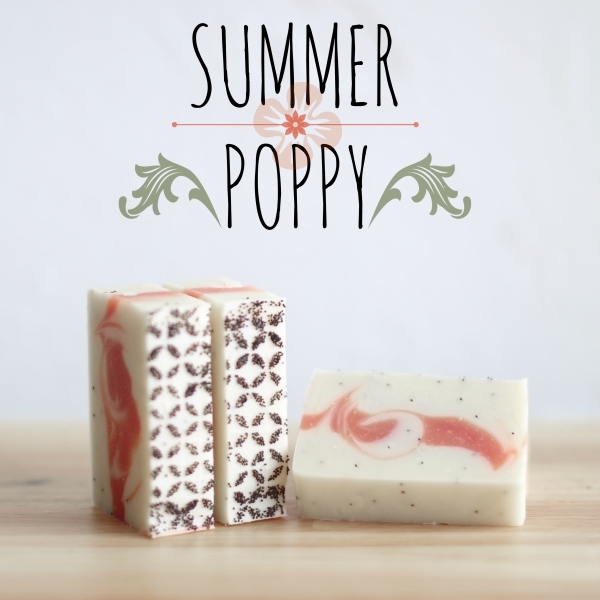 We love Summer Poppy for its lovely soft aroma! It smells like a big red poppy in full bloom in the middle of summer. 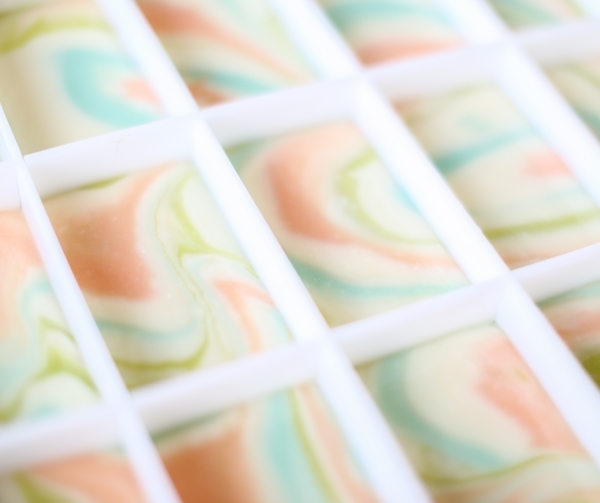 This one is not powdery smelling like many other florals can be, but rather fun and fresh. 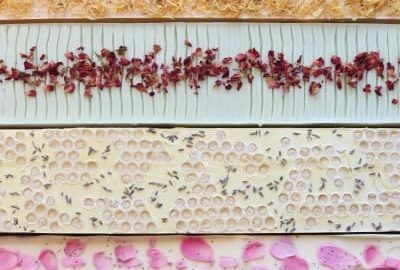 We added a touch of poppy seeds inside the bar for light exfoliation, and there are ornately stenciled poppy seeds on top as well. You will just have to try this one! 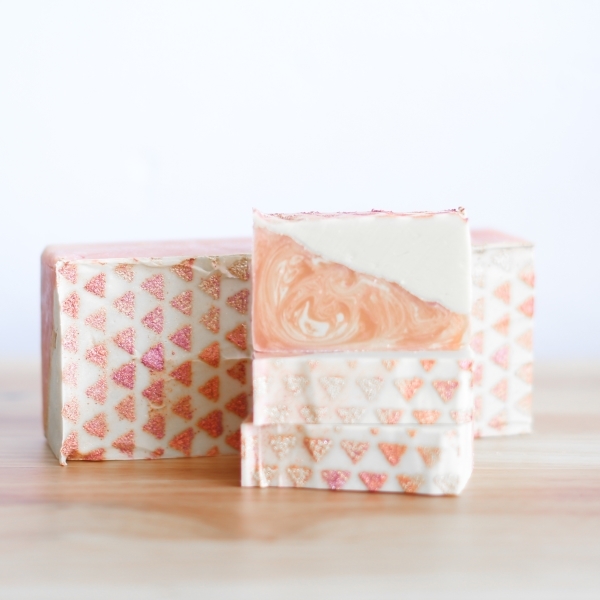 If you enjoy citrus scented anything, this soap is for you! Grapefruit and yuzu notes join together for the perfect mashup of invigorating citrus. 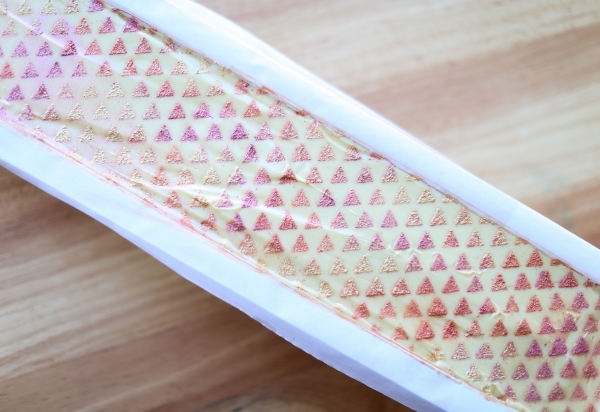 The top of this soap has orange, pink, and gold iridescent triangles, and to follow through with the geometric theme, we poured this soap diagonally which created two interior triangles! 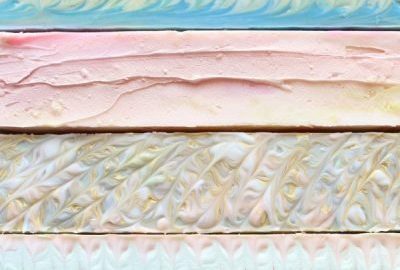 This is the perfect quintessential ocean themed soap with fresh notes of jasmine, kelp, greens, musk, and ozone. It all comes together and smells like a warm salty breeze coming off of the ocean. 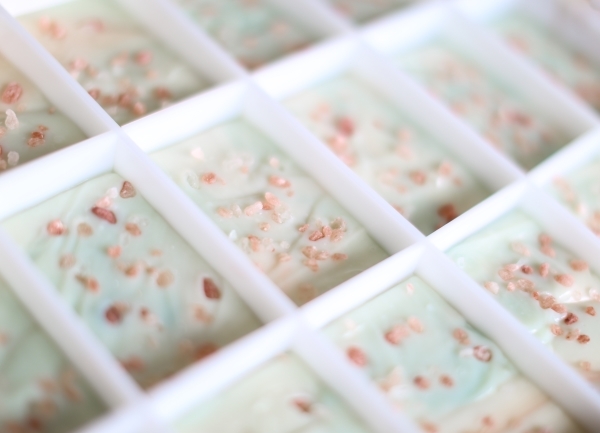 We topped this soap with pink Himalayan salt crystals. We made this one for more selfish reasons, but we only need one bar, so it will be available to everyone while they last! 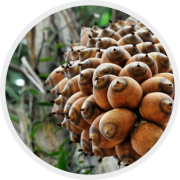 We’re taking two weeks in August for a trip to Costa Rica to learn more about ingredients and sustainability. The bugs in Costa Rica are big and many of them like to bite, so we hope our special blend of essential oils (citronella, geranium, lavender, fir needle, bergamot, basil) will make them “bugger” off. 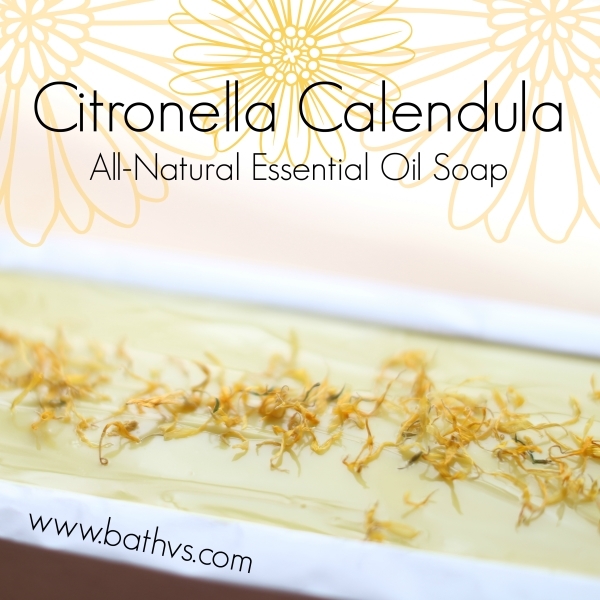 There is also calendula (marigold) flowers inside and on top of this soap. This one will be ready much sooner than August, so you can try it and let us know if we’re going to get eaten alive or not! The notes in this one are tricky to pin down at first, but it smells so good! At first sniff you will find sweet fruity notes, but then you will notice florals and green notes with a trace of fresh rain. 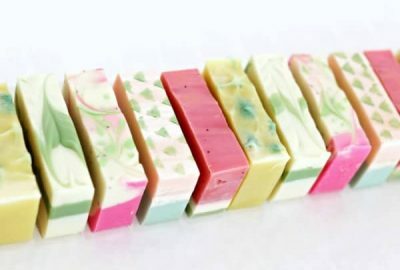 If you don’t usually fall for sweet soaps, this one might do it for you since it is also fresh and slightly floral! It’s a real winner in our book and we hope that you like it too! 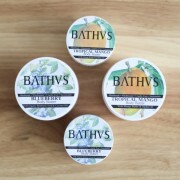 Bergamot & Tobacco – coming back soon! Obsidian – fresh batch, still some in stock from the last batch! 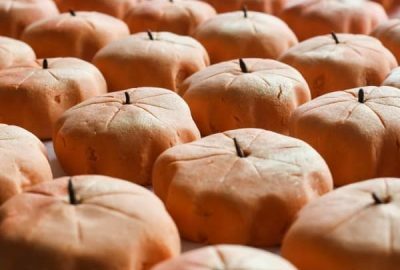 Dragon’s Blood – extremely popular, with more incoming! Lemon Poppy Seed – More incoming for summer!